The Darkest Side of Saturn by Tony Taylor Book Blitz – Win a $25 Amazon Gift Card! It is summer and Angela eats a bowl of cherries. After she swallows some cherry pits, her Grandpa warns what will happen — “A cherry tree will grow out of your ear.” Angela thinks that is silly. Do you believe a cherry tree can grow out of Angela’s ear? To Thee We Do Cry by Patricia Monohan Book Blitz – Win a $25 Amazon Gift Card! In what was the most devastating event of their lives, Tom and Pat Monahan lost their nine-year-old grandson, Tommy, in a house fire in December of 2007. This unimaginable tragedy rocked their lives with pain and sorrow beyond description, of a kind and strength they had never dreamed of. As a way of dealing with this unspeakable grief, Pat Monahan practiced what she preached as a professional bereavement counselor: she began journaling her feelings to work through the pain. Following the depression that comes with grief, she realized that this process was a major key to lifting her depression. 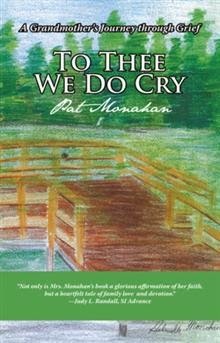 In hopes of helping others whose faith has been shattered following the loss of a loved one, Pat presents her recorded thoughts and struggles in To Thee We Do Cry. She describes the impact her grandson Tommy’s life and death had on the entire community of Staten Island; she also emphasizes the importance of coping with the struggle with spirituality while faced with such trauma. In the end, it is faith that will guide someone suffering from a loss back to living a full life once more. PATRICIA MONAHAN and her husband, Tom, have seven children and eighteen grandchildren. She retired after twenty-seven years as a New York State–Certified alcohol and substance abuse counselor. Following her father’s death, she was trained by the Archdiocese of New York as a bereavement minister. Patricia is giving away a $25 Amazon Gift Card! Torn Body, One Soul by Jamal Assadi Book Blitz – Win a $25 Amazon Gift Card! In Torn Body, One Soul, four Palestinian writers—sons and daughters of a Palestinian people torn apart—tell their own tales of their predicament, estrangement, and marginalization, their expectations and visions in a new, magnified voice, first to their people, then to their nation, and to a wider English-speaking public. The seventh book in a series of volumes on Palestinian authors, this collection of short stories, translated and edited by Jamal Assadi, contains works of writers hailing from different regions in Palestine and abroad. Through their stories, authors Gharib Asqalani, Huzama Habayeb, Akram Haniyya, and Mahmoud Shukair depict a faithful picture of the various aspects of life in both Palestine and the Diaspora. Their narratives defy taboos, battle oppression, break open locked gates, and speak their truth. Ranging from grave to light and humorous to sensual and remarkable, the stories in Torn Body, One Soul come from a diverse core of perspective, gender, and geographic location but provide insight into and a fragrance of a different civilization. Jamal Assadi earned a PhD in English from the University of Newcastle. He chairs the Department of English at the College of Sakhnin and is a lecturer at An-Najah National University, Nablus. In addition to numerous articles in professional journals, Assadi has written several books. Jamal is giving away a $25 Amazon Gift Card! A River of Tears The River of Hope centers on the saga of the Two Torah Scrolls, and of an fluent and thriving community living peacefully for 2600 years until World War II and the events of Nazism, anti-Semitism and hatred took place in the ancient region known as the Cradle of Civilization, or modern days Iraq. The creation of Iraq by the British installed an unsuccessful attempt at Monarchy. The results were staggering and ultimately ended in the displacement of an entire community to Israel and the first settlement of the community in this newly created State. A River of Tears The River of Hope follows the enchanting and fascinating Murad family. The Murad family brought to Israel a proud heritage to share with the world including the two Torah Scrolls of their beloved father and grandfather, Rabbi Ezra Murad. Rabbi Murad’s two Torah Scrolls traveled with the family to Israel, where he was rightfully recognized as an important and impactful role models. His name shined within the community in Baghdad, and his memory and the valuable Two Torah Scrolls continued to stand out in Israel. While settling in Israel the Murad family showed us the most valuable elements of hope, drive, and determination as they continued to thrive in Israel and Canada. They continued to believe in their abilities to succeed. Indeed, as their lives changed and they relocated, the Murad family always maintained focus and the belief in their ability to survive and flourish. A River of Tears The River of Hope will welcome readers into the history of the Murad family and their amazing journey from a world filled with oppression and tyranny, to one supported by acceptance and support. What are the values and principles of Integrity? Why do we respect people with integrity? Integrity is one of the most important terms of virtue. It is the base of healthy relationship, business, or society. Persons of integrity may be regarded as honest and truthfulness, and consistency of characters. It stands in opposition to hypocrisy. Some people could or may act immorally—though they would usually not know they are acting immorally. Thus one may acknowledge a person to have integrity even though that person may hold what one thinks is importantly mistaken moral views. I came from a community that reputation mattered. Demanding of myself high standard, constantly tried not to blemish my name and to have a good credit, and constantly was worried about what others feel about me, I found out that to always try to please everybody else all the time was exhausting. It’s one thing to help out a person who needs it; it’s quite another to end up swamped underneath everyone else’s wishes and requests, with no time left for yourself. So, I decided to reclaim my personal worth and learn not to care about what the others are saying and feel about me. Let them criticize me, take time for myself. Most importantly is to take track my achievements. Since my high school days I loved my literature classes It inspired to start my own novel, which I did, based on achieving happiness through love. I was an avid reader, Agatha Christie’s books, or any suspense books, biography books, novels, and inspirational books. The fear of failure held me back. The fear of fluency in languages, particular pieces of writing isn’t going to turn out well, so I avoided working on writing in order to avoid feeling the fear. Overtime I learned to push away the negative feelings of fear and created history courses for adults. I became a guest speaker on Iraq and the Middle East alike shortly after 9/11. I had the capacity to work hard, although I did not like the increased pressure, I still had the drive to write my first book. My mother, as small children in Baghdad, used to tell us stories with the morals. Each one of my siblings was excelled in school. My brother Haim, who passed at the age of 16, created a library at home. I grew up in this kind of atmosphere that studies and education are essential to your future. In Israel I was inspired from my literature classes, started to write a novel, I was an avid reader, throughout all the countries I lived in, (four countries) when I became a teacher it was the involvement in school and the research for my students and studies alike that contributed to the power of writing, What inspired me to write this book was the desire to accelerate my grandfather’s name, and the Saga of the Two Torah Scrolls. The biggest inspiration I got when considering the title of my book were the fond memories I had from the Tigris and Euphrates River at the time of living in Baghdad as a child. 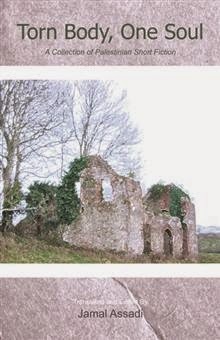 Those memories were of family outings, picnics, fishing, boating or swimming in the river. My mother sent me to swimming lessons along with other 10 boys and I was the only girl getting swimming lessons at the end of the 40s beginning 50s. The Two Rivers were such a vital element in the life of the population in Iraq. In 1951 was the mass immigration to Israel, the two Torah Scrolls, which my grandfathers wrote and were precious to the family, were transported to Israel. I wanted their voyage to their new country to pass through the River. The departure from Baghdad was with a lot of TEARS, HOPE and new beginning is replacing the tears. The hardest part in writing my book was accumulating all the material. It was not just to honor and be just too, I wrote about but also interviewing family member, and others, living in four countries, getting all the images in high resolutions, and writing about each member of the family. I was very demanding of myself in producing a professional material, since it was my first book, the search for a professional editor was very hard to say the least, I went through many offers of editors, and started with one that did not have the vision for the book. Justin Spizman is an editor whom I recommend. Half the Man I Used to Be by Brian Ray Gross Book Blitz – Win a $25 Gift Card! All humans have weaknesses. Even mythical warriors and superheroes have a weakness. For author Brian Ray Gross, that weakness is food. This creates an interesting paradox: food is intended to strengthen, nourish, and sustain—but when we consume too much, we become weakened by it. In this weakness, we cannot be the people God intends for us to be. In Half the Man I Used to Be, Gross shares his story about food, weight, and his weight loss journey. He tells how it all came to head in October of 2012, when he found out that he was diabetic and that his liver was failing. He was at his weakest point, and he had a choice to make: he could continue to let the weakness dictate the rest of his life, or he could seek the strength to overcome. He chose the latter, and the kind of strength he needed could only come from God. 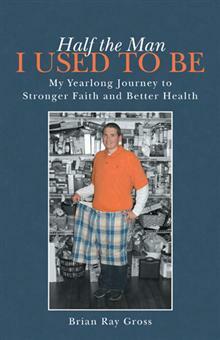 This memoir discusses Gross’s lifestyle changes and his weight loss success. His story serves to communicate there is hope for all who face the same challenges. It’s not too late to regain the life you desire. You have a creator who made you in his image, and he wants the best for you. You can do this, and when you do, you’ll be glad you did. Brian Ray Gross earned a bachelor’s and master’s degree from Morehead State University. He is a social studies and English teacher for the Raceland-Worthington Independent School District. Gross lives in Russell, Kentucky, with his wife, Kristy, and their three children. Brian is giving away a $25 Amazon Gift Card!